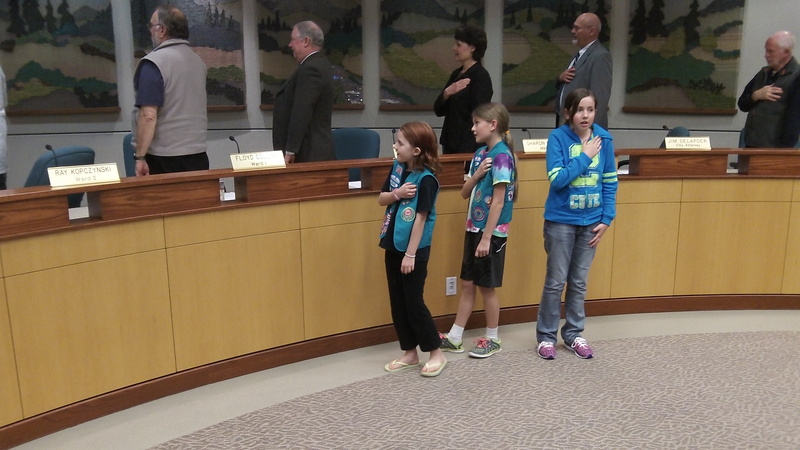 These Girl Scouts were in the council audience Wednesday when Mayor Sharon Konopa invited them to lead everyone in the Pledge of Allegiance. The immersion tank typically holds water. Production parts are placed in the tank in water to be ultrasonically tested for soundness. The tank can have a structure above it on which an ultrasonic sending/receiving unit can be placed. Info from that unit is used to generate a 2D map on the internal soundness of the part being scanned.